Located at the northeast edge of the Prefecture of Argolida and at the foothill of Mountain Arachnaio, Dimaina. Mainly the people of Dimaina are farmers, while a limited number of them are cattle-breeders. The fruitful plain of Dimaina is cultivated with pear trees, oranges, olives, as well as a variety of other cultivations. Historically the village of Dimaina is one of the newly established villages of the county. Originally the villagers used to live high in Corinthia and in Arachnaio and return to Dimaina only to spend the winter, but, during the last 70 years Dimaina is their home for good. Very close to the village of Dimaina the women Abbey of Pammegiston Tachiarxon, built during the 15th century, is found, which offered a lot to the people of the area. During the years of the Turkish occupation a school was secretly operating at the Abbey and during the governance of Kapodistria the “Allilodidaktiko (Mutual teaching) School” had found a roof there too. Nifon, the Patriarch of Constantinople, was one of the founders of the Abbey in which the relics of Saint Gabriel are kept. 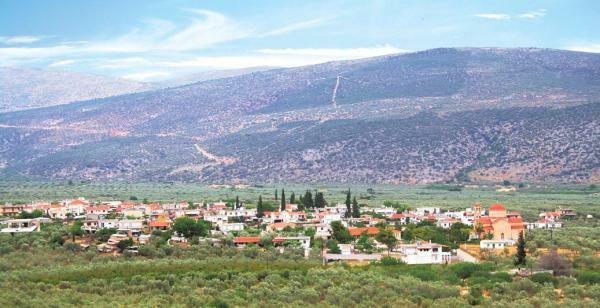 At Dimaina there is a preservable natural monument formed by 8 olive trees existing together side by side as a group. These olive trees are religiously and historically bonded with the villagers and even during the Turkish occupation these “holly” trees were by law protected by the Turks too. 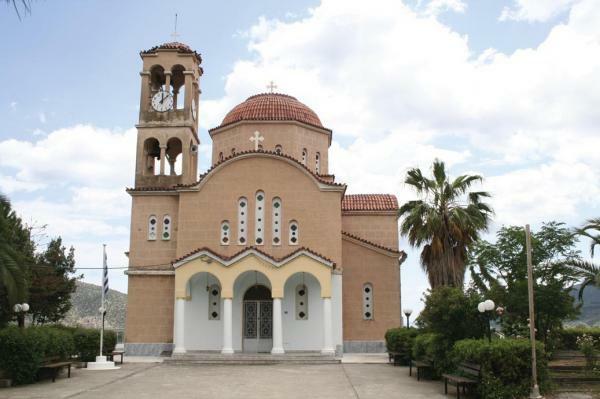 On the 21st of May, at the church of Agios Constantinos a big traditional celebration is organized every year. One of the things a visitor of Dimaina must do is to taste “gkiosa” - the different and very special old way of cooking goat and a reason why Dimaina is well known to the whole territory. Dimaina is a place where the people who feel adventurous enough are given the opportunity to experience walking at the mountains, or hunting – in season of course. The highlands of Dimaina are also ideal for 4x4 off road race.